Wander the wonderful Whitsundays on a 4-night Whitsundays Family Cruise on the Pacific Dawn. Beachy bliss doesn’t get better than this! Perfectly timed for Australian and New Zealand school holidays, this cruise is an ideal family getaway with zero fuss. 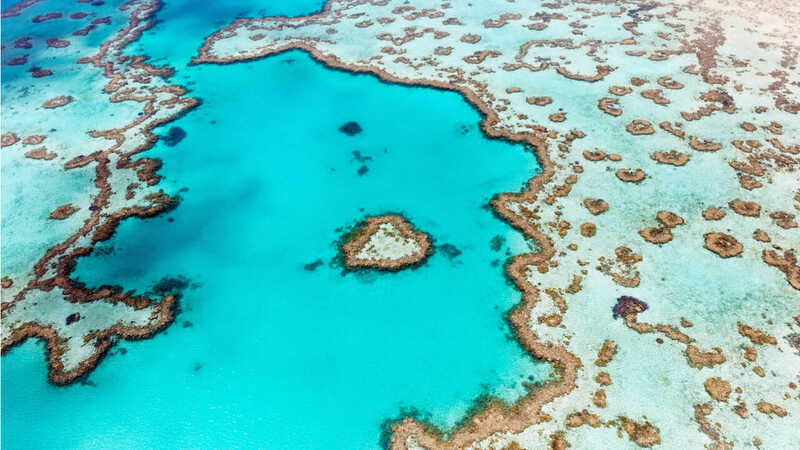 You’ll see some of the best destinations off Queensland’s coast, including Whitehaven Beach and Hamilton Island. Onboard everything is organised for you, from meals to entertainment and even enormous water slides. Please note all our holidays are subject to availability at time of booking. Should your dates not be available please note the Family Travel Booking Guarantee applies. 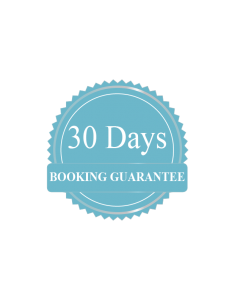 The Family Travel 30 Day Booking Guarantee means that if you can’t get the travel dates you want within 30 days of buying the voucher, we’ll give you your money back, no questions asked. Why is cruising so great with kids? No pesky transfers, no drawn-out check-ins, no packing and re-packing, no fuss about food. Cruising is the ideal way to holiday as a family, with everything you could possibly need right on board with you. 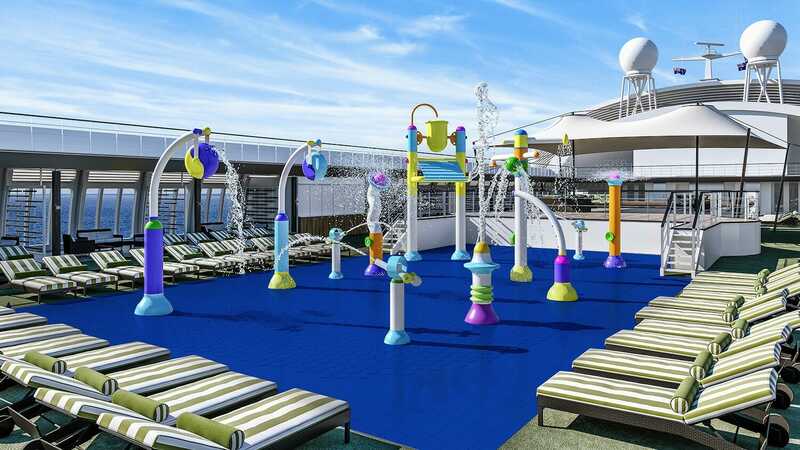 On board activities such as pools, water slides, Kids Clubs, and more will keep you entertained at sea. Roomy cabins and family dining options have you covered. 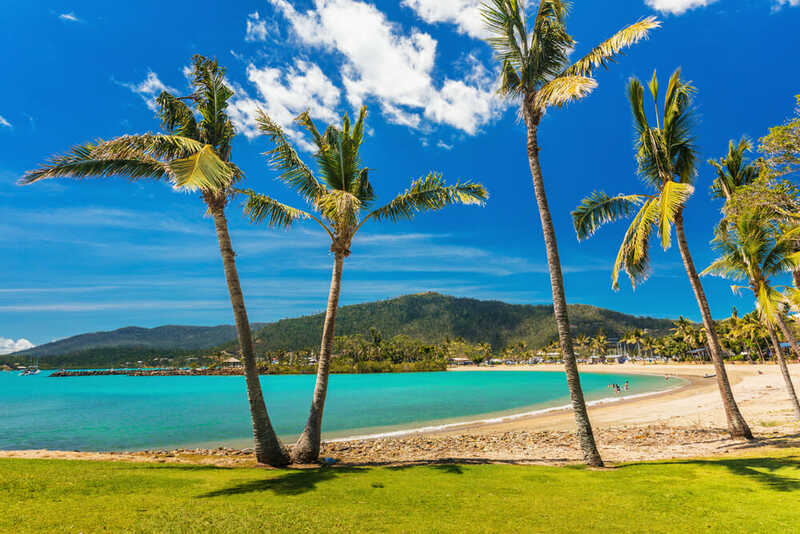 Start off in buzzing Brisbane and cast out to the best of sunny Queensland: the Whitsundays. This tropical haven, made up of 74 picturesque islands, has been attracting attention from families for years. White sandy beaches, wildlife-filled corals, jungle walks and tourist resorts make the region an ideal one for easy family holidays. 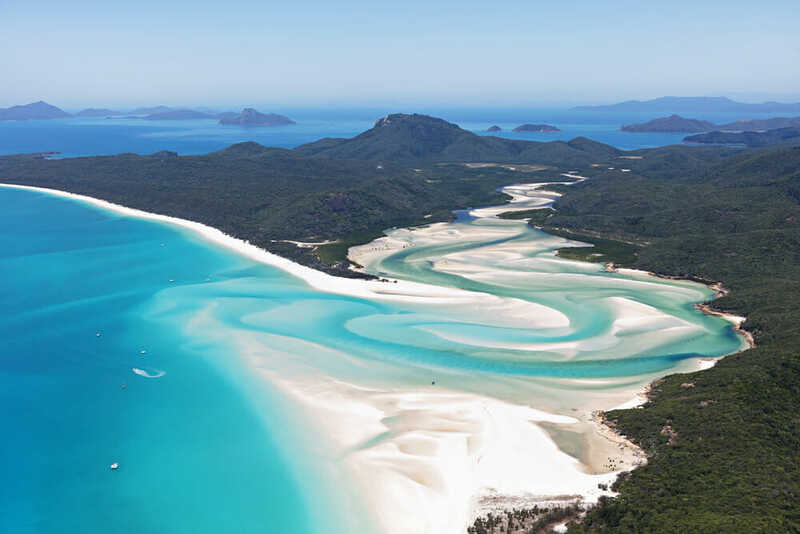 Whitehaven Beach and Hamilton Island are the star performers. This is a cruise ship made for families of all shapes and sizes. Come together as a family for deck games such as golf putting, quoits or table tennis, then challenge each other to an all-ages Laser Tag tournament. Enjoy some time apart with an Adults-Only Comedy Club, Spa and Fitness Centre and four age-specific Kids Clubs run by devoted experts. At Turtle Cove, 3 to 5 year olds can enjoy the DUPLO play centre and some fun arts and crafts. Shark Shack is for 6 to 9 year olds, HQ is for 10 to 13 year olds and HQ+ is for older teenagers, each with dedicated activities. Grown ups can treat themselves to dinner at a specialty restaurant, or see a live music or theatre performance while littlies and teens make friends at Kids Club. Enjoy the Adults-Only Comedy Club, Casino, range of bars and cinema options. 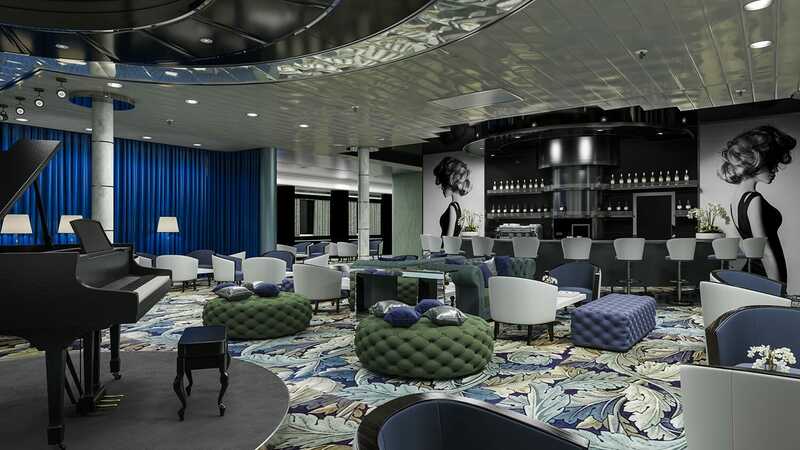 New and improved experiences are coming so you can cruise, cruise and cruise some more. With so many experiences onboard you can choose to do it all or do nothing at all. It’s your holiday, your way! If you ache to snorkel, dive, swim, paddle or just laze on a breathtaking white sand beach, this is the place to do it. 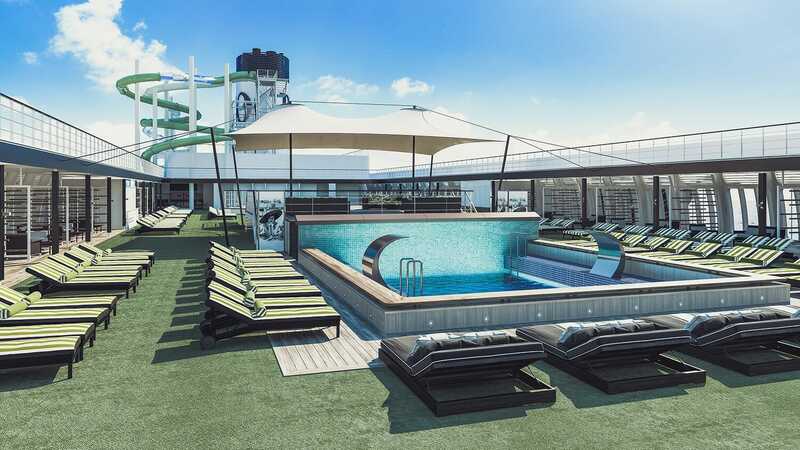 Embark on the newly refurbished P&O Pacific Dawn, a floating resort with everything your family could possibly need on board. In fact, P&O has won Cruise Passenger Reader’s Choice Award for Best Kids Cruise Line three years running. They have a waterpark with slides and pools, a flying fox, Bungee Trampoline, family-friendly theatre show of TC & Skipper Island Adventure, four age-specific Kids Clubs for 2 to 17 year olds, and the chance for aspiring musicians to show off their talent at Teen Jam performances. All meals are included on board so make the most of the yummy menu options. Complimentary dining happens at Waterfront Restaurant, where you can choose between My Table Dining (fixed time and fixed table with the same familiar waiter), My Choice Dining with flexible reservations, casual poolside dining or specialty dining at delightful restaurants, cafes and lounges. On Pacific Dawn, your specialty options include Salt Grill from Aussie celebrity chef Luke Mangan, meat and seafood at Shell & Bones, deluxe degustation at Chef’s Table and an array of no-fuss eats at The Grill, Charlie’s Bar and The Cafe. Need to cool down after swimming and sunbaking on deck? Pick your favourite flavour at New Zealand Ice Cream. Interior rooms are perfect for both families and couples. Interior rooms are available in a range of bedding combinations including twin, double, triple and quad share. Oceanview rooms feature a window or porthole so you can let the natural light stream in. Oceanview rooms are available in a range of bedding combinations including twin, double, triple and quad share. Open your doors and let the outside in! Make the most of your time at sea with your own private Balcony Room. At Family Travel we can book cabins that are the right size for you and your family. For Twins, Triple and Quad cabins call us on 1300 404 100. Guests can book a Shore Excursion by visiting the Shore Excursion desk onboard during their cruise. Are there any age limits to join a shore excursions? This depends on the cruise line – the majority, however, are family friendly with no age limitations. An Onboard Expense Account, also known as your SeaPass® onboard account, is the cashless system used for all onboard purchases and services. Depending on your ship, SeaPass cards are handed out at the pier or will be in your stateroom waiting for you. The account may be set up with either a credit card or as a cash account. You may establish a master account and add guests from your stateroom or another stateroom as authorised purchasers on your account. For each purchase made onboard the ship you will receive a receipt at the point of sale. A final statement will be delivered to your stateroom on the final morning of your cruise holiday for your review. Please note all onboard prices are in USD. Are there any programs for kids on board? Please check out Best For or facilities section to find information on what kids can enjoy on board. 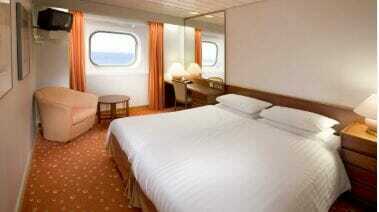 A guarantee cabin is one where there is no stateroom number assigned by the cruise line. A cabin may be assigned any time before travel and may have an obstructed view. My kids are fussy eaters will there be other option for my kids? 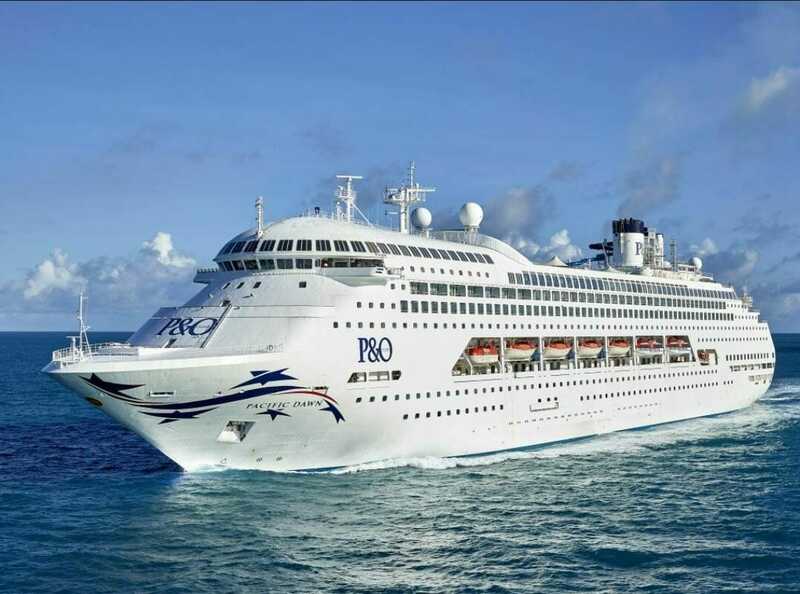 P&O offers a large range of casual dining options and quick bites for meals on the run. With 9 dinning options onboard you are to find something for everyone.